What should you do when you see a helicopter trying to land? The sun was shining and the atmosphere was filled with nerves and excitement. 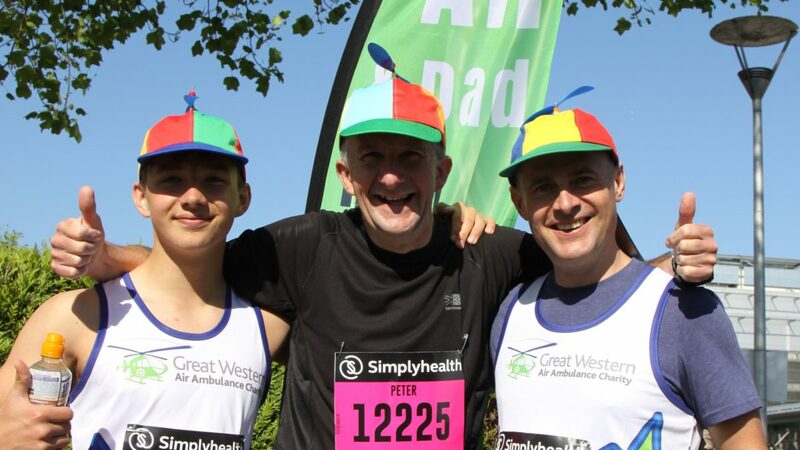 Ali Layard, his father Andrew and Pete, one of our Specialist Paramedics in Critical Care arrived to the start of the Bristol 10K wearing their helicopter hats and in good spirits. Ali’s mum and sister were supporting from the side lines, together with a cheer-squad from Great Western Air Ambulance Charity. 6 years ago Ali was only 9 years old when he was accidentally knocked off a narrow boat and dragged into the propeller, sustaining terrible injuries to both his legs. Ali not only lost his kneecap, but also lost all of his left knee bending mechanism, 60% of his lower right leg and had to undergo numerous lengthy operations including a muscle and soft tissue transplant to reconstruct his leg. Our Critical Care team were called to the scene and stabilised Ali enough to safely transport him to Frenchay Hospital, Bristol. After the accident Ali was told that he would never walk unaided again, yet through sheer grit and determination he has defied all odds and completed the Bristol 10K earlier this year. It’s been a long and difficult road to recovery, but Ali has made remarkable progress and is not only walking but in fact a keen sportsman! Inspiring many people along the way, he was successful enough to get a sports scholarship for Wellington School. His hard work and determination hasn’t stopped there and he’s started playing for the England Physical Disability Cricket Lions Team. 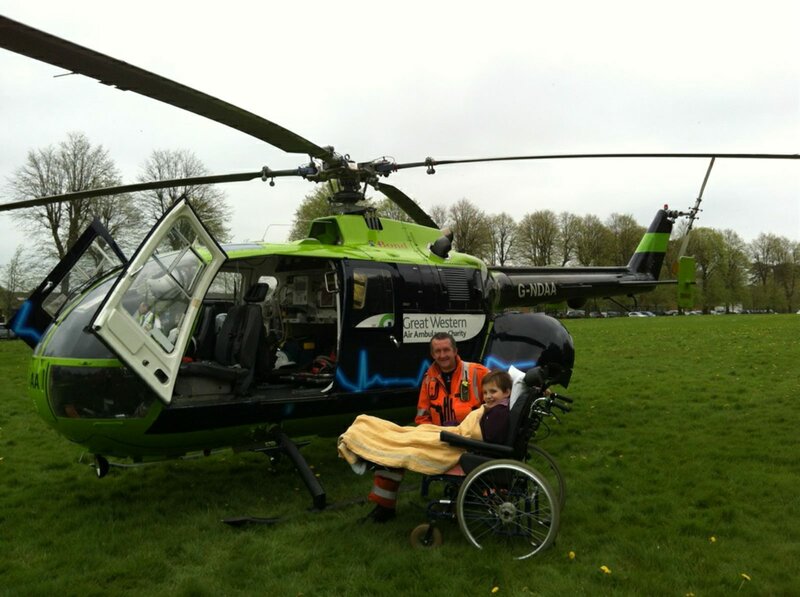 Since that fateful day, Ali and his family have stayed in close contact with Pete, the GWAAC paramedic on the day. 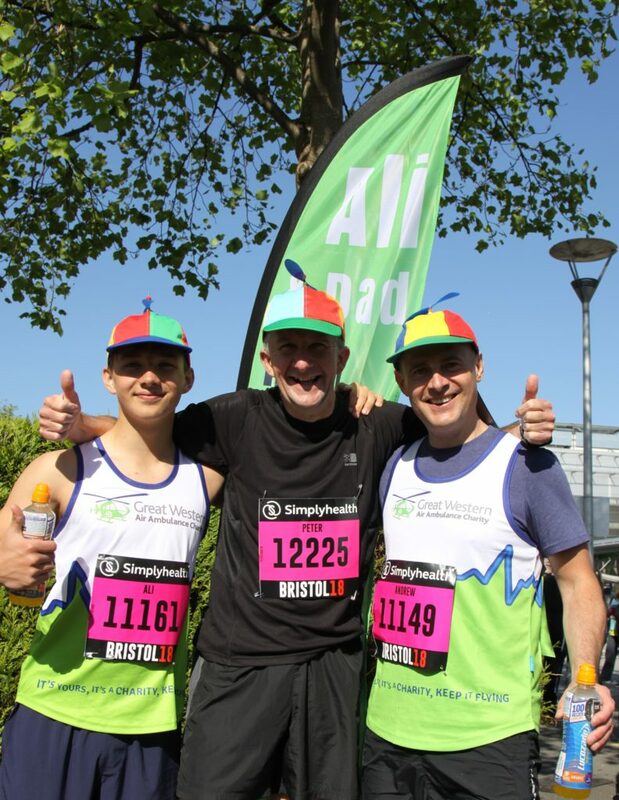 Ali and his dad decided raise money and awareness for the charity by taking on the challenge of running the Bristol 10K, a gruelling run for anyone. 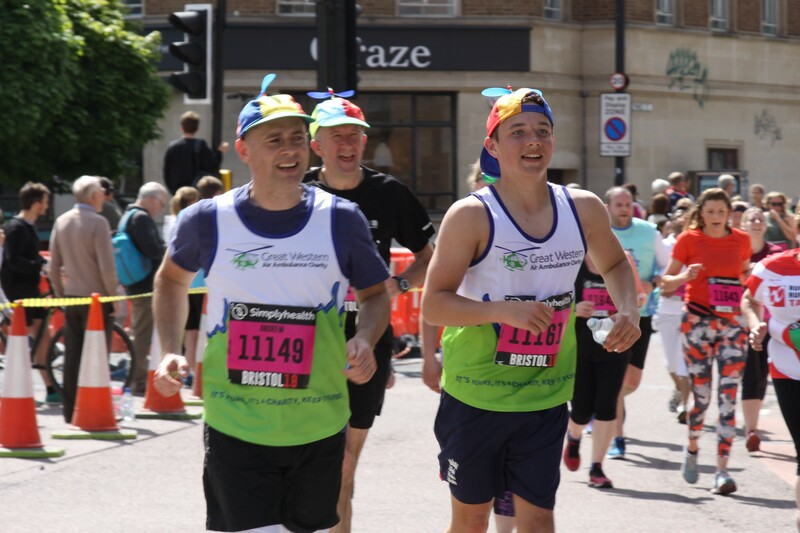 Even though the conditions were hot and running tough, together as a team, with support from their family and the GWAAC team, they crossed the finish line with beaming smiles! Not only did they finish with a time of 1 hour, they have also raised an astonishing amount of £4140.00 for GWAAC. Ali truly is an inspiration to us all and reminds us that we should never give up on when times are hard.